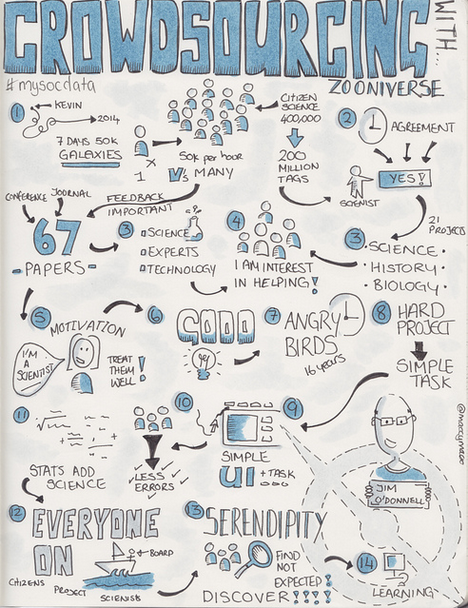 Check out this cool infographic cartoon explaining the timeline of the Zooniverse and some of the key concepts that make our citizen science projects work. It was produced by the awesome team of Jim O’Donnell and Makayla Lewis. You can read more about it in Makayla’s blog post.